Outdoor banners can inform customers on information about things like your business' grand opening, a special sale or event that you want to promote, or just about anything else you can think of that sends an important message to your customers that just has to be noticed! The temporary addition of outdoor banners to your storefront can be an effective way to communicate with the public. Custom outdoor signs are a great addition to parades, large events, and do well as festival banners. 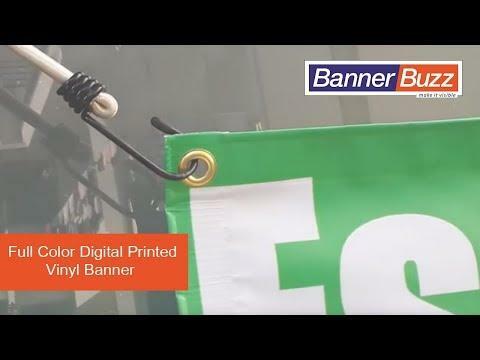 Whenever a business is going through a change, custom outdoor vinyl banners provide a good way to inform the general public at once without spending a lot of time, preparation or money on it. 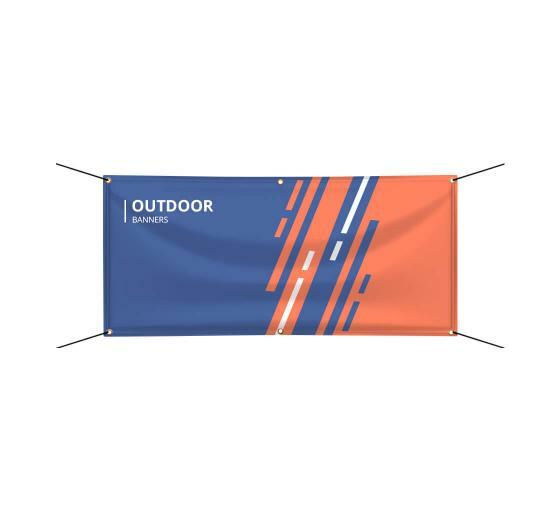 These banners are printed with high-quality dyes, capable to withstand weather and the sun, wind and rainfall. Instead of spending tons of money printing announcements on paper, look into custom outdoor signs! Whether the building will be temporary closed for renovation, celebrating a grand opening, anniversary or new management, the community will get the answers they need from your outdoor banner. There's no simpler way to communicate than with a large, attractive, straight-to-the-point vinyl banner for outside display! Placing custom outdoor signs and banners right at the storefront will help people find the location of your business, too. This can be incredibly helpful if you are new to the area. A custom outdoor sign can provide a sure fire, no hassle way to communicate with others without directly speaking to prospective customers right away. Companies that have been in the neighborhood for years can use outdoor banners to announce an anniversary sale or limited time offer. Why should you look into outdoor banner signs for business? Vinyl is sturdy enough to stay in place if signs are supported with a good rope and knot through the banner's grommets. Outdoor banners have the potential to last up to seven years, which allows BannerBuzz to help your business get the attention it deserves. Our website offers companies many custom outdoor sign options. Choose from our banner templates and utilize the web application to create large outdoor banners that are tailored toward your brand.